Make your kid shine amongst her friends in this pack of three multicolored vests from Adams Kids. Not only is it superbly comfortable, it is high on trend appeal that makes it a perfect one for a fun filled evening. 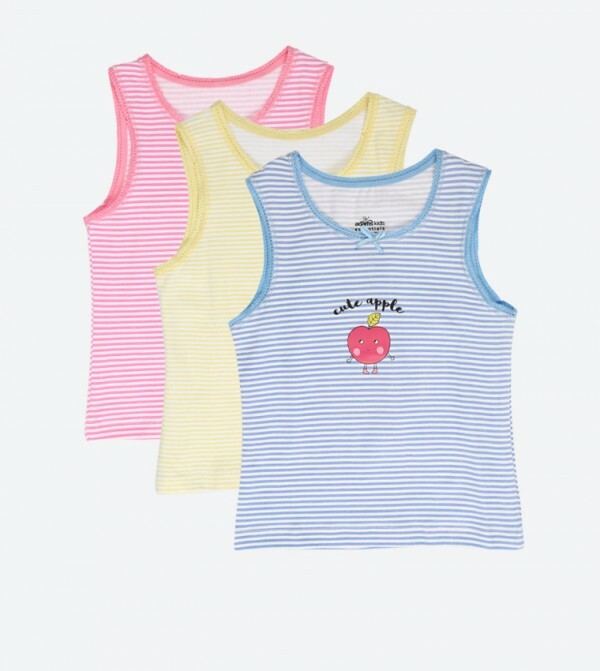 Made from cotton for maximum comfort, this stripes sleeveless vests has round neck.